My design wall is only 48 x 60, so only one quilt at a time can be up on the wall at a time. Ladder to the Stars came down Saturday night so I could throw together ‘Cherry Frolic’. This quilt is from 40 Fabulous Quick-Cut Quilts by Evelyn Sloppy and is called Fall Frolic in the book. 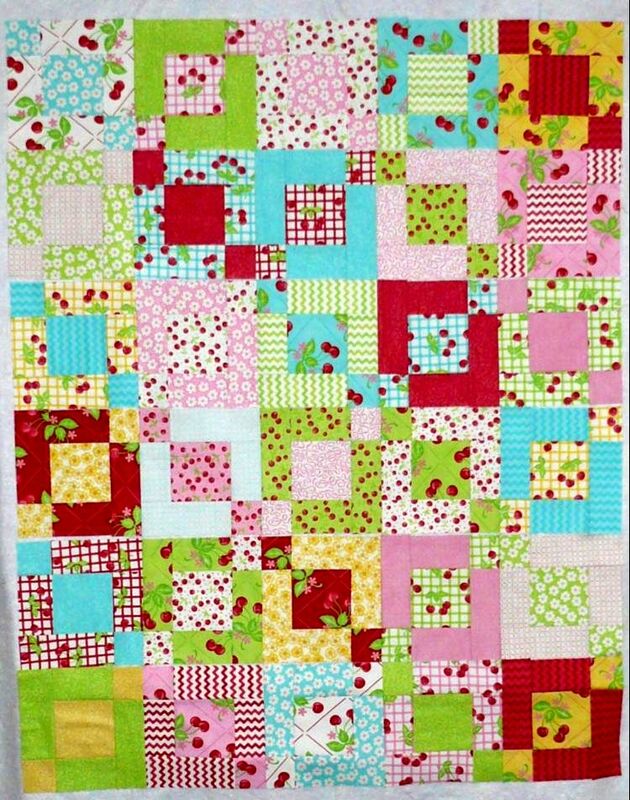 Since I’m using the Oh-Cherry-Oh fabric line, mine is called Cherry Frolic. Yesterday I got the blocks sewn into rows, so this evening I’ll work on getting the rows sewn into a top. Then Ladder to the Stars will go back up. I worked on the sashings a bit, and think I have them figured out, but didn’t get as far as testing my theory.